For people in hurry here is the code and the steps. In continuation of Play 2.x (Scala) is it a Spring MVC contender? – Introduction, in this blog, I will demonstrate how to extend Security.Authenticated standard Play API to implement basic authentication in your application. 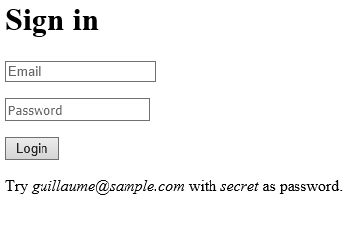 I took this code play-test-security as my basis for implementing Security.Authenticated based authentication. * Retrieve the connected user id. * Redirect to login if the use in not authorized. * Handle login form submission. * Logout and clean the session. * Display the paginated list. I hope this blog helped you. In my next blog, I will show how you do authorization.